Signetique Review 2019: Is Signetique a Good Hosting? 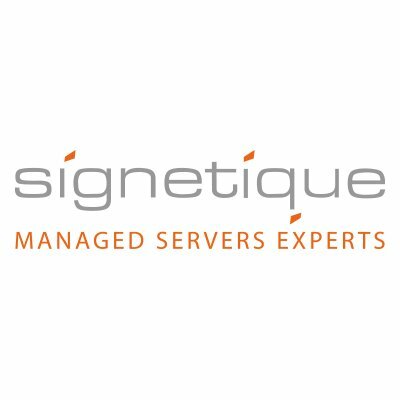 Signetique is a well established managed hosting provider based in Singapore. They’ve worked with thousands of customers and offer a premium range of packages. Quite remarkably, Signetique has been in business since 1995, which makes this company a veteran of the website-hosting world. Based in Singapore, they’ve helped more than 10,000 Asian and worldwide customers with their website hosting. And Signetique is part of a much larger hosting company, The Exabytes Group, which has worked with more than 100,000 companies. Their website is available in English. Their packages are pretty hefty. Even their most basic Cloud Hosting package includes 40 GB of storage and 2 TB of monthly transfer, whilst their largest package comes with 180 GB of storage and 9 TB of monthly transfer. What’s nice is that you can increase your resources at any time just with just a few clicks, and they use SSD storage for less latency and must faster read/write speeds than traditional hard disks. Besides cloud hosting, Signetique also offers Dedicated Hosting with 24/7 monitoring, managed backups, and a fully redundant network. They have a 99.9% uptime guarantee, but this is not backed by SLA. Signetique’s website allows you to see their prices and sign up entirely online. Setup is a breeze, and your VPS will be ready to go as soon as your payment has gone through. Prices are excellent compared to other companies that sell similar enterprise-level packages. The base packages are very affordable considering the level of resources included and you can increase your resources at any time via your control panel. Signetique offers monthly, semi-annual, and annual billing terms, but you don’t get any discount for signing up for longer, so I’d be inclined to go for the less risky monthly terms. That said, they do have a 30-day money-back guarantee that might encourage you to make a bigger commitment, and setup is free. All in all, I think they offer pretty fair pricing and terms. This company advertises 24/7 support and they can be contacted by email, telephone, ticket, possibly live chat (when it’s working). Their separate support portal comprises a very comprehensive knowledge base, a set of community forums (not particularly active), and facilities to raise a new support ticket or check ticket status. Signetique has worked with thousands of customers since 1995. In 2006, they stopped selling website design services to focus solely on web hosting, and in 2007 they launched a new range of dedicated servers. Now they count big names such as Johnson & Johnson, Sharp, and 3M among their customers. Wondering how Signetique stacks up against other Web Hosting companies? Enter any other Web Hosting company and we will give you a side-by-side comparison.